Men's Health Fitness Director BJ Gaddour may be an absolute beast in the gym--he was named one of the 100 Fittest Men of All Time by that publication--but his encouraging attitude and creative workouts are perfect for anyone looking to up their physique. He's the creator of numerous popular workout DVDs as well as the video-streaming fitness website Streamfit.com. 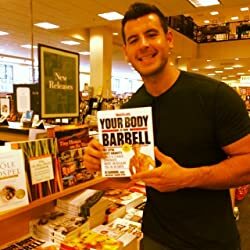 A bodyweight training expert, you can keep his treasure-trove of workouts on your Kindle and follow him here at BookGorilla. Please enter your email address and click the Follow button to follow BJ Gaddour!